Time to meet Chris Kendall AKA ‘The Raw Advantage’. 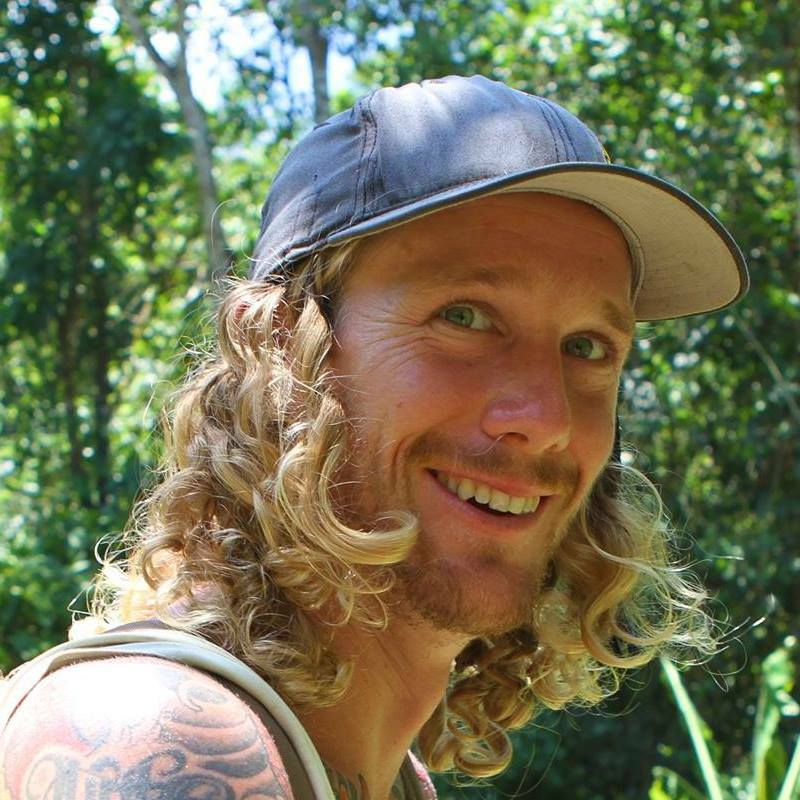 He’s a raw foodist who is all about spreading the message of positivity, living foods, and high energy vibes. He does this through his youtube channel, his Costa Rica Retreats, his e-books, and his speaking engagements. 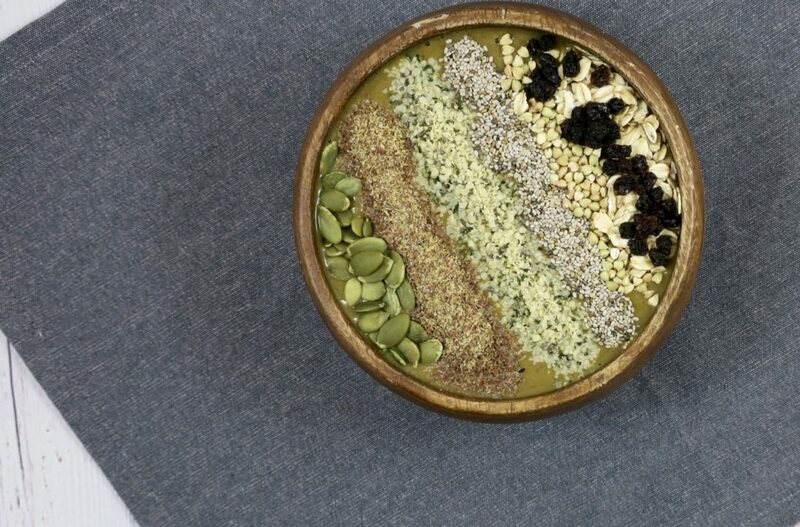 His excitement for the raw food lifestyle is contagious, even through social media. After going through a period in his life with poor lifestyle choices and bad injury recoveries, he decided to make a change. At 18 he started making major lifestyle changes and by 23, he switched to the raw food lifestyle and never looked back. I have so many questions to ask Chris because he’s such an inspiration when it comes to the raw food lifestyle! But, I will try to keep it simple today and for those who want to know more they can find him on Youtube, Instagram, his website, or just join him at a Costa Rica Retreat ! 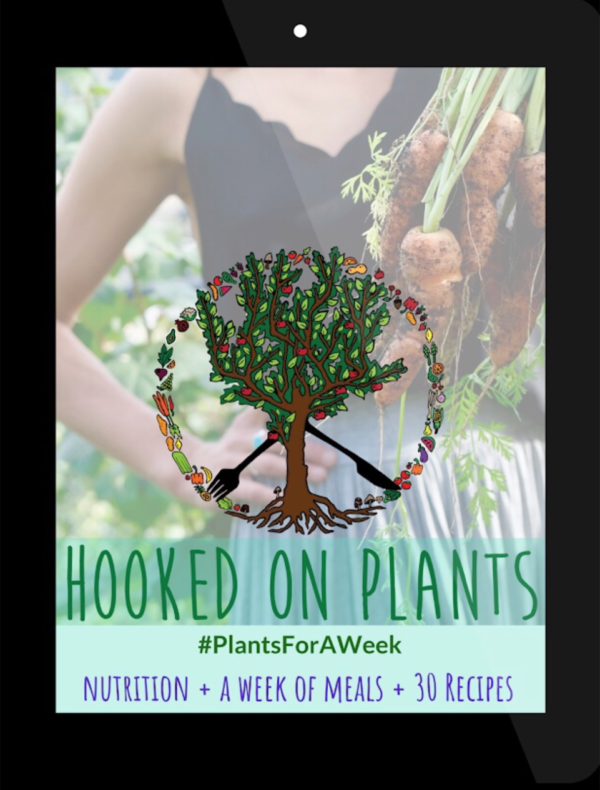 Hooked On Plants (HOP): At 18 you came to the conclusion that you needed to change your lifestyle. What was the catalyst for this change? Chris Kendall (CK): Really, the catalyst was being burnt out, depressed, and having a harder time physically in terms of recovery and energy, to skateboard. The first thing I found was yoga, which helped immensely and pointed me in the direction of healthy, compassionate living. HOP: How long did it take for you to see the benefits of the raw food lifestyle? 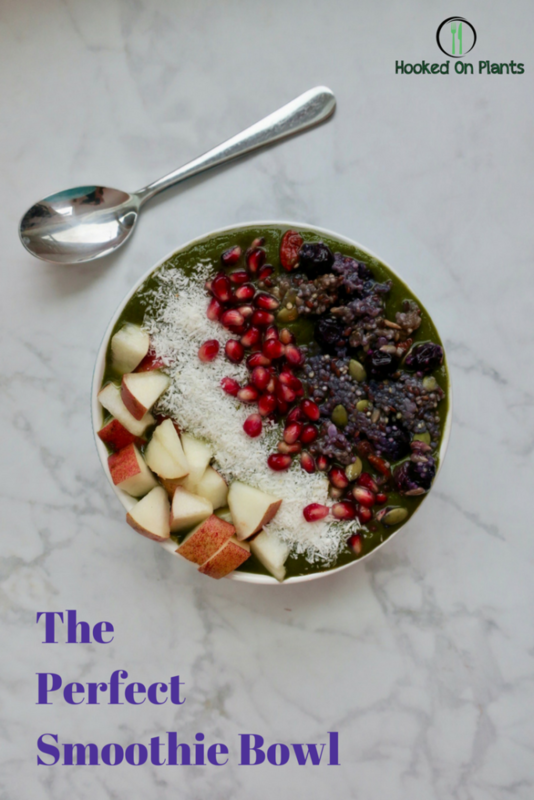 CK: Over a period of 5 years I vastly increased the amount of raw food in my diet, starting with a fruit breakfast and going from there. 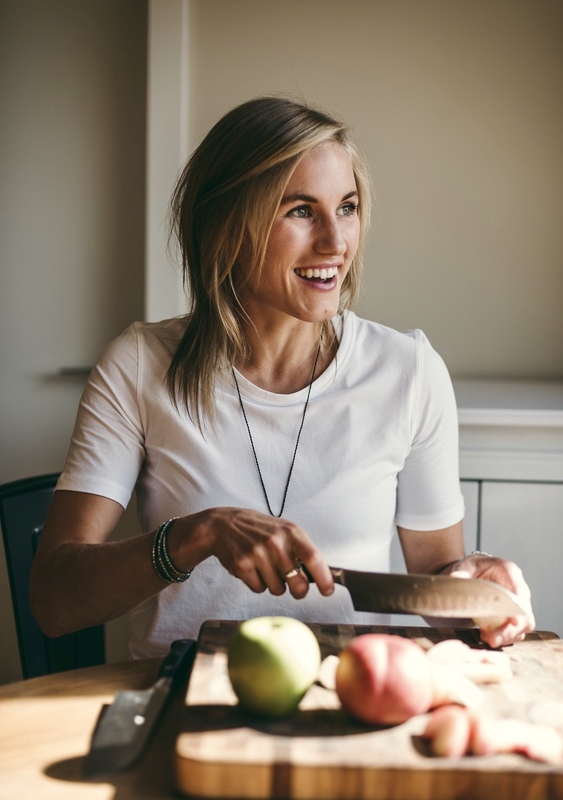 At 23 I jumped into an all raw food diet and experienced the biggest leaps and bounds in my health, vitality, mood, spiritual connection, endurance and passion. These changes happened virtually over night for most, and within the first week for the rest. HOP: What were the main changes you saw in yourself, and ones that people could expect to see in themselves if they decide to focus on raw foods? CK: In those first 24 hours my heart centre literally blew open. I felt such a deep connection to the spark within and recognized it in everyone and everything around me, this was more than profound. I felt a deeper connection to my purpose and gained a clarity in my life path that I hadn’t experienced. My joy and lust for life increased and I simply felt bouncier and more prone to move and enjoy myself. Each person’s time line of experiences and shifts is different and fully dependant on their previous lifestyle and particulars. I had been steadily improving my diet and had fasted numerous times before going raw, so when I did it was like rocket fuel. HOP: I’ve yet to go to the Woodstock Fruit Festival, but this raw food festival looks like a blast! How many times have you been? 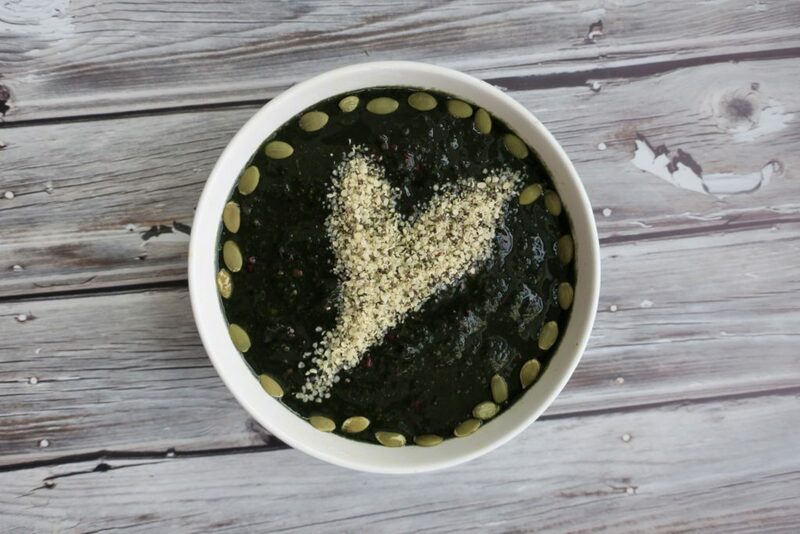 Will you be prepping the raw-food for all of the attendees this year? HOP: You met Dr. Douglas Graham at a Vegan festival in 2004, and went 100% raw overnight! What did he say to you that inspired you to do so? CK: I first met Dr Graham at “A Taste of Health” Vegan festival in Vancouver B.C. It was as much of what he said as what I picked up from him. I went to 2 of his 3 lectures on the first day, one recipe-based and one nutritional-based. The science driven but common sensed style of his approach really hit home, and it felt like the last piece of a puzzle that I had been looking for finally fit. Beyond that he was literally glowing, in my past I ate lots of magic mushrooms and would sit in nature, at times able to see aura’s around trees and people, seeing Doug glow when I was straight and sober really left me feeling like he had something to offer. 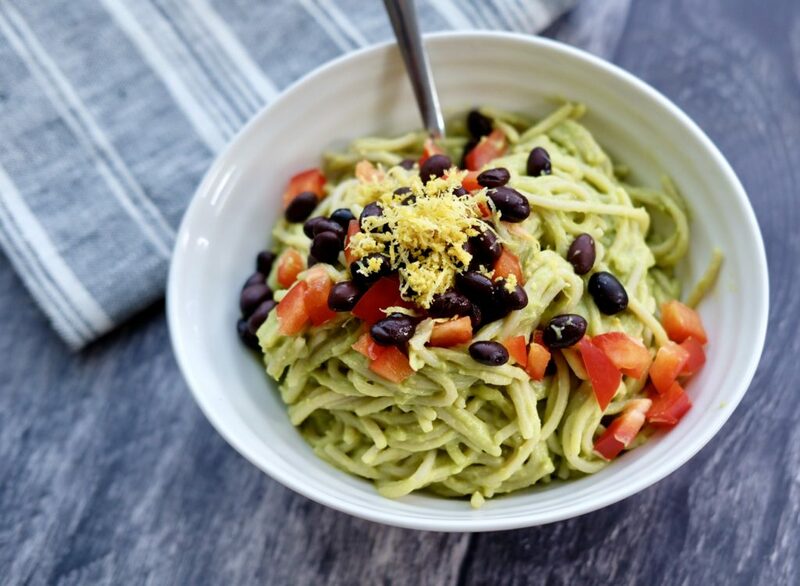 Many aren’t familiar with the 80/10/10 lifestyle, which is 80% carbohydrates, 10% fat, 10% protein, mainly coming from raw fruits and vegetables. Can you enlighten everyone on the benefits you’ve seen with this lifestyle? CK: Absolutely, plus I’d like to point out these numbers are guidelines over the week month and year and not set hard rules for every meal or even day. Generally stating for optimal health, it is good to aim to get 80% or more of total calories from carbs and 10% or less from protein and fat. I’ve personally become a lot clearer in my head and heart, and found renewed passion for living and growing with my purpose in loving service. I have found it incredibly easy to maintain muscle mass, put some on if I want and stay at a low body fat percentage. Feeling lighter, bouncier and more energetic I am able to go faster, push harder and recover faster than ever before. I love that I don’t smell like I used to, in the bathroom or after working out. My skin tone and appearance has improved and I have been told countless times I look much younger than my age. Clean up time in the kitchen is so much easier and I have found such a joy in creating raw food meals and dishes. Fruit and fruit hunting has become a real joy in my life, as has traveling to exotic places and enjoying time with other fruit hunters. The biggest benefit by far though has been seeing the ripple effect around me as more friends family and acquaintances improving their diet and being more conscious of their spirit and power. HOP: There have been countless people that have improved their digestive, adrenal, thyroid, and overall health with a raw food lifestyle. Not to mention those who have reversed diabetes, heart disease, obesity and cancer by eating raw foods. Who are your favourite, inspirational examples for this? HOP: I find myself eating mostly raw foods, especially throughout the daylight hours. Most people see the raw food lifestyle as extreme. 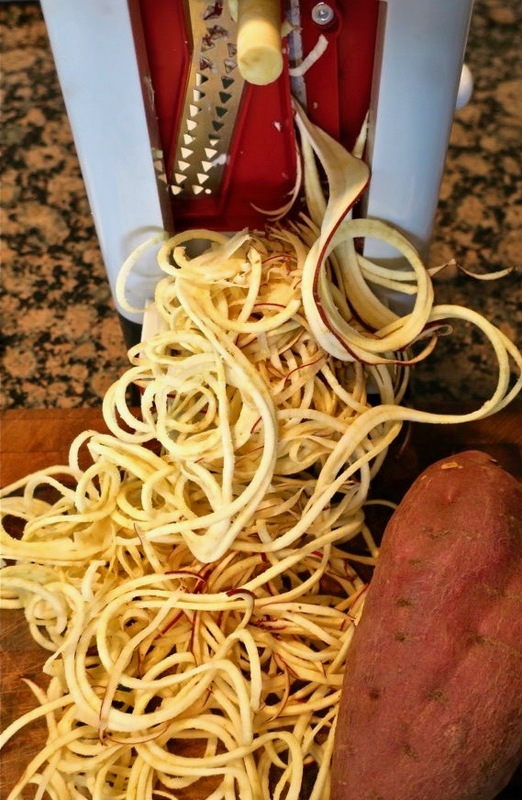 Can you give 3-5 ways to make eating this way easier, more convenient and seem ‘normal’;)? Realize that this is all as big of a deal as you make it. For example, I know it is a big deal health-wise, environmentally, and for the animals, but also know I do not need bring that up all the time or judge others for their choices. Being calm confident and happy while simply being the example leads to more people being curious and receptive than any lecture. HOP: What is your favourite music right now? Who’s your favourite band? CK: I love most forms of music although wouldn’t consider myself a music person, it’s rare I pick up a new band or search for new music, in fact I am not a avid concert goer either. I like the classics like Bob Marley, Neil Young, The Doors, and newer stuff like Fantan Mojah. Lots of old school hip hop and some new too, but mostly rock and reggae! HOP: When is your next retreat and how many are you doing this upcoming year? CK: My next set retreat is March 3rd – 10th, 2018 at The Farm of Life in Costa Rica. 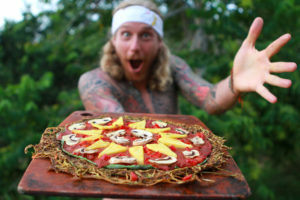 It will be another Raw Food n Yoga Surf Adventure retreat, everything but the raw food is optional hahaha:) I plan to do 1 this year, and if it fills up quick I may do another. HOP: What’s you’re next big project you’re working on to spread the Peace, Love and Seasonal Fruit message? CK: I always have things on the go. I have a few new books coming out, new shirts, and a huge update on my free raw recipes app for iPhone. I’m always looking at ways to grow the TRA Dream, a charity I created to actualize donation-based healing and educational raw food permaculture and yoga centres / communities around the world. 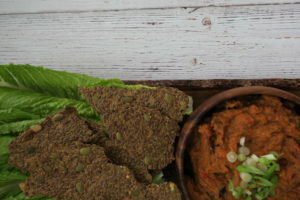 HOP: What is your favourite spring (or maybe camping) raw food recipe? CK: I would have to say simple banana pudding as you do not need any tools other than a bowl and your hands. Mash bananas well using your hands, a fork or a potato masher. Add the raisins, cinnamon and optional celery, mix and enjoy! Want more of The Raw Advantage? 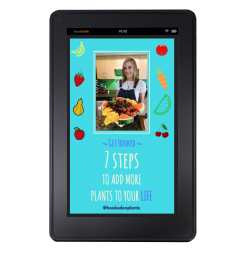 Get 2 free ebooks just by signing up to his mailing list, and a free recipe in every mailing list post too, join here. 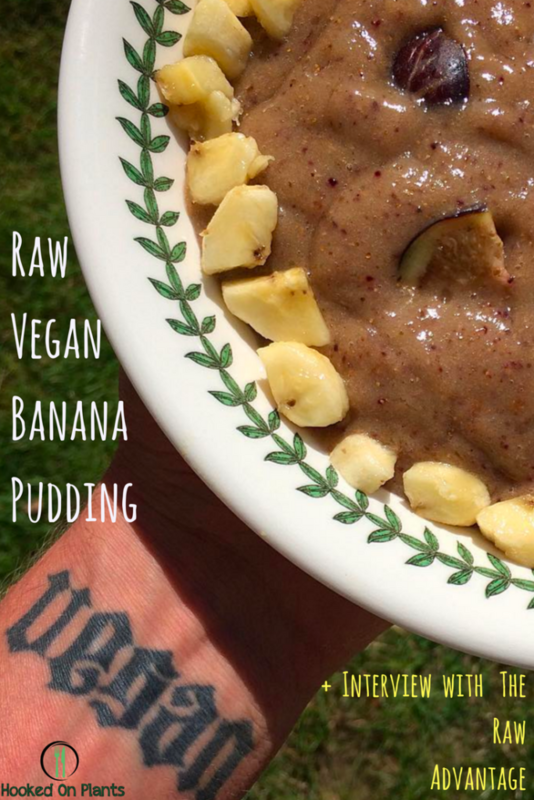 For his Free Raw Recipes Playlist head here. 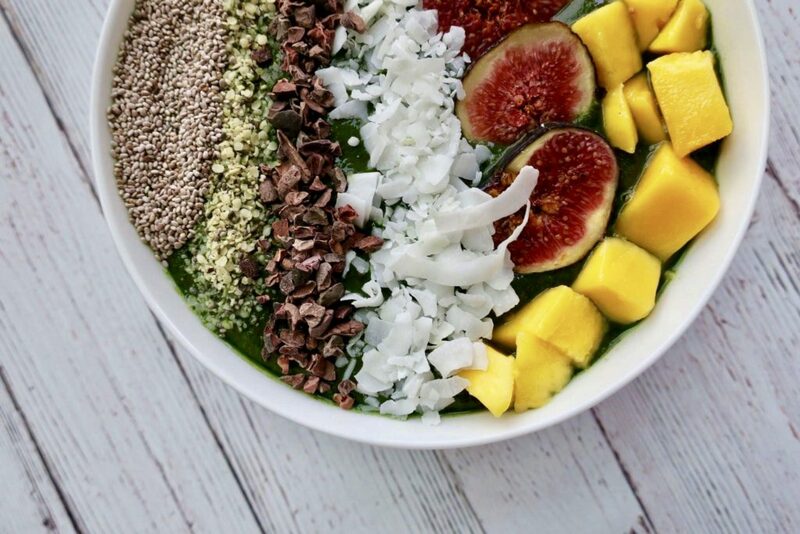 The secret to the perfect smoothie bowl? 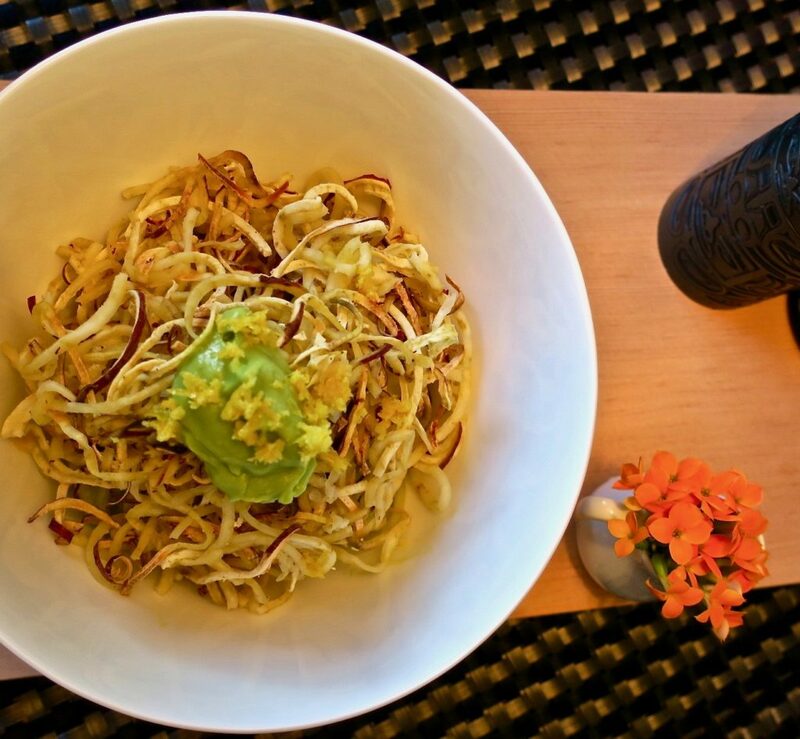 Creativity, nutrient-dense ingredients, experimentation and love. 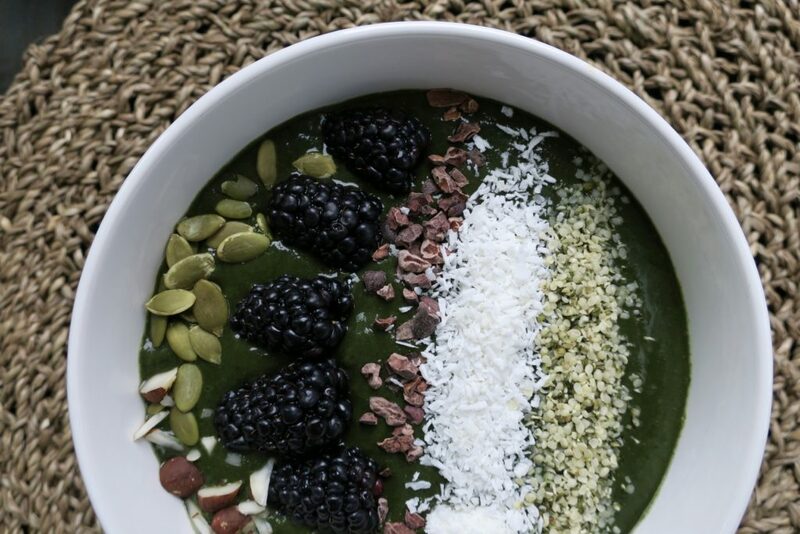 I make smoothie bowls for breakfast, lunch, even dinner sometimes on those lazy but clean-feelin’ days. What could be easier? Why eat your smoothie with a spoon??? Smoothies are amazing, but usually they slide down the hatch too fast. The digestion process for carbohydrates (which include fruits and vegetables) starts in your mouth. The process of chewing creates saliva with the necessary digestive enzyme, amylase to begin the breakdown process of carbohydrates. So, the more you chew your food, the more surface area it creates, and the more easily digested and assimilated your nutrients are. This is why it is extremely important to slow down, chew as much as possible, and breathe between your bites. Good digestion leads to weight loss, efficient nutrient absorption, more energy, less bloating, and the prevention of disease. YAY for all of that. So, it’s great to create smoothie bowls, rather than downing a smoothie, because this forces you to slow down your consumption, and actually chew your smoothie one spoonful at a time! Plus, it’s even more satisfying to have that spoon to mouth action. 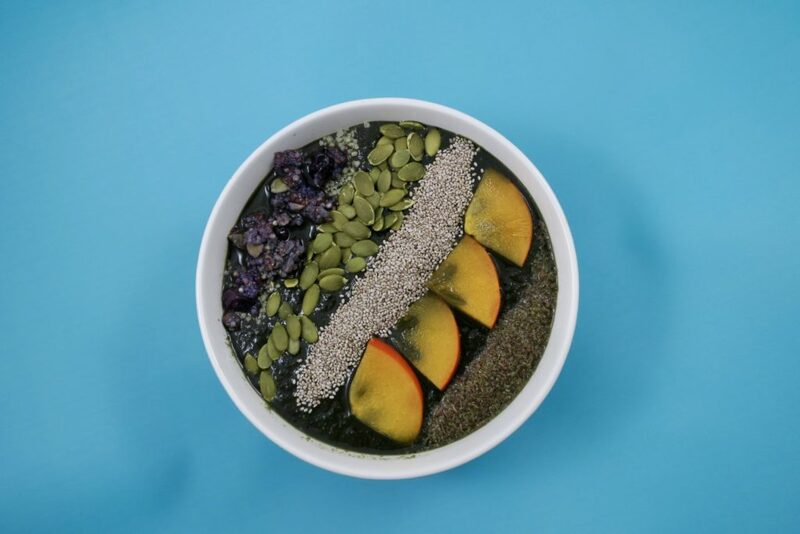 If you just don’t have the time to create and devour a bowl of smoothie goodness, then just take it in a to-go cup and remember to chew it before you gulp it. Go for it and switch up the ingredients for a variety of nutrients, vitamins, and minerals. 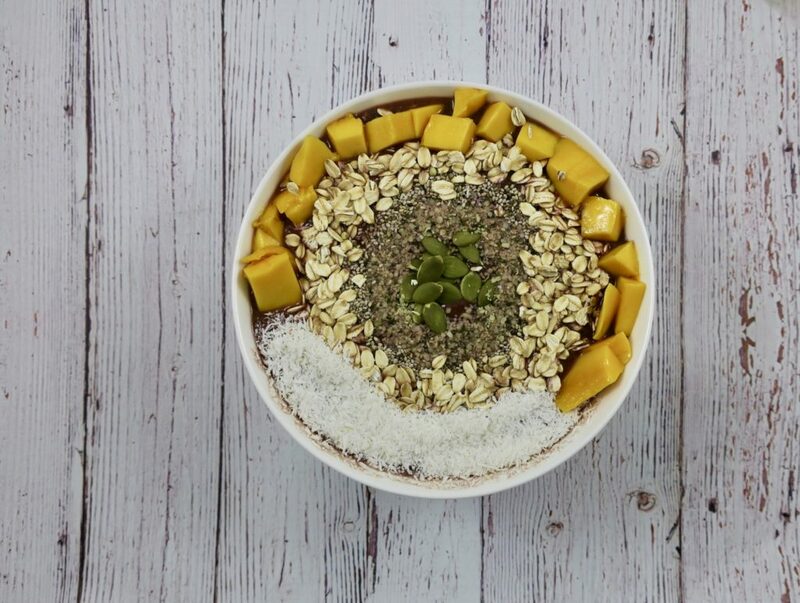 Just stick to these proportions and you’ll have the best bang for your nutrient buck, plus a delish smoothie bowl every time! Why are smoothies SO AMAZING? They’re the easiest way to hide a salad-worth of greens on yourself. They are pretty much a delicious tasting, massive multivitamin. They still contain the fibre and water from the whole-food ingredients they’re made of. 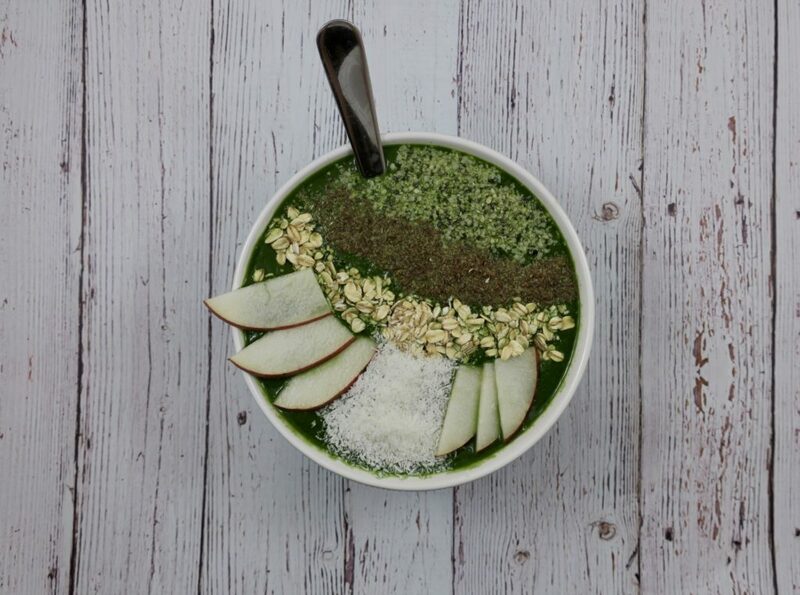 Pack your blender with as many greens as possible (for the easiest blending, put these in first, so they are pressed down with the other ingredients). 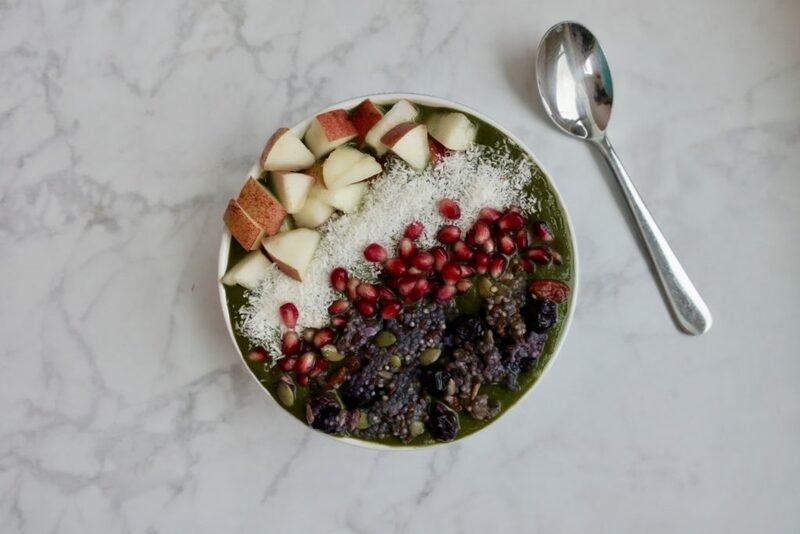 Use the fruit as a way to mask any bitterness of the greens. 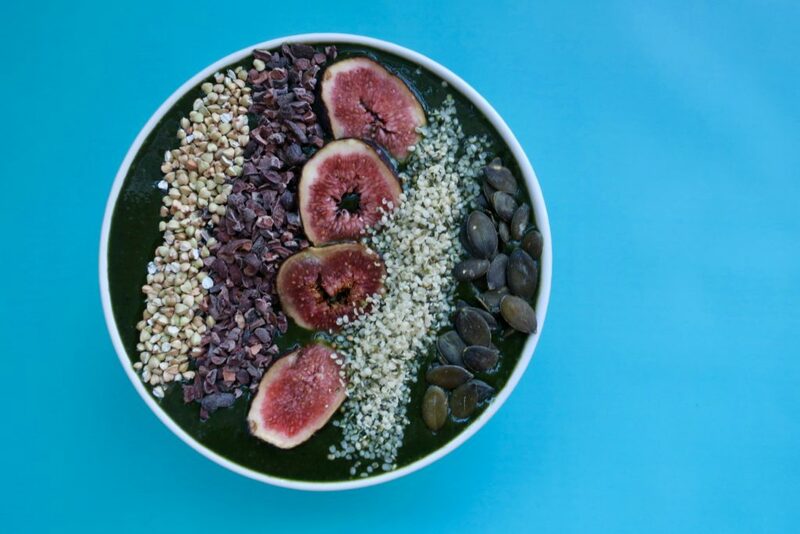 If you’re on the run and need to make it into a smoothie – just fill the blender up 3/4 of the way with water, pour it into your to-go cup, and add in something like cacao nibs, seeds, buckwheat groats, to chew on. This is a great way to get in the habit of chewing your smoothies. Use your blender’s tamper while you blend it up to help move things along and become smooth. Warm and smooth with a kick of flava flave! I wanted to share a recipe with my friend’s crackers, because honestly, anything goes well with Eve’s Crackers. 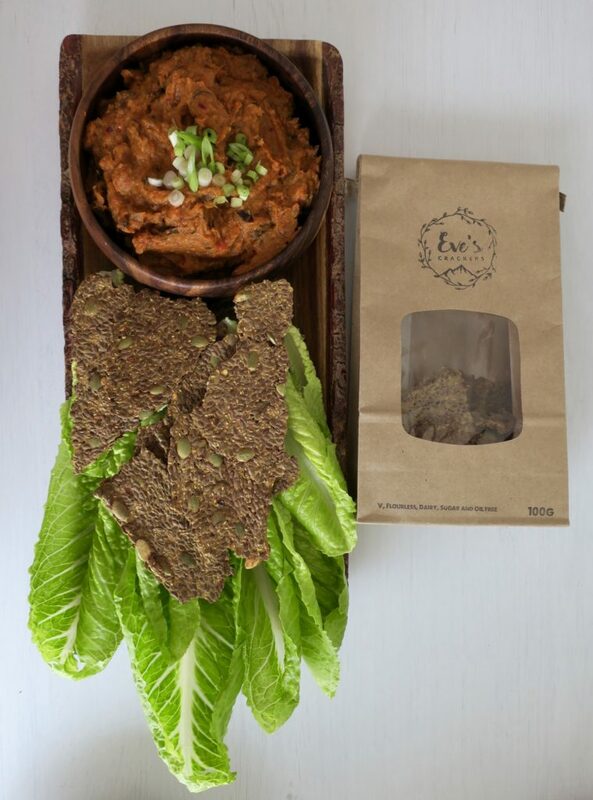 Her crackers are vegan, gluten-free, with no added oil, sugar-free and delish! She’s just starting out as a foodie-preneur, which I can relate to with my breakfast cereal, Jules Fuel. So happy for her! I mean, come on, look at these beauties. All the veggies with some spice. 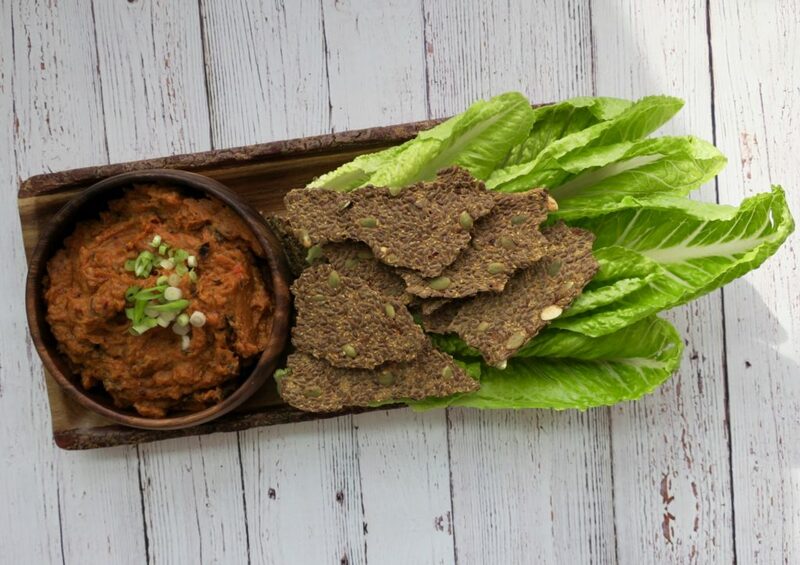 Don’t get me wrong, I love hummus, but sometimes I want an all-veggie dip that has the same texture and satisfaction as your typical hummus. It gets you even more fab nutrients. We’re sticking with the oil-free, sugar free theme with this dip. 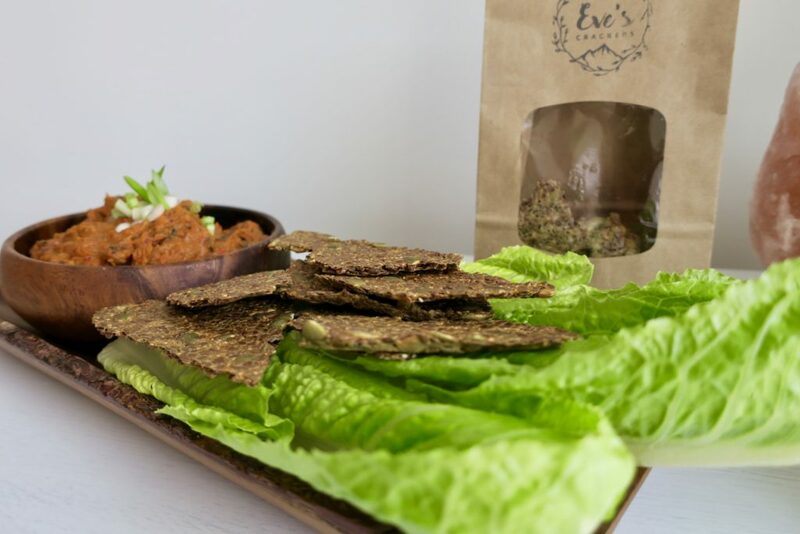 Eve’s Crackers – a way to indulge in your cracker addiction without any hidden trans-fats, refined sugars, gluten, or oils. 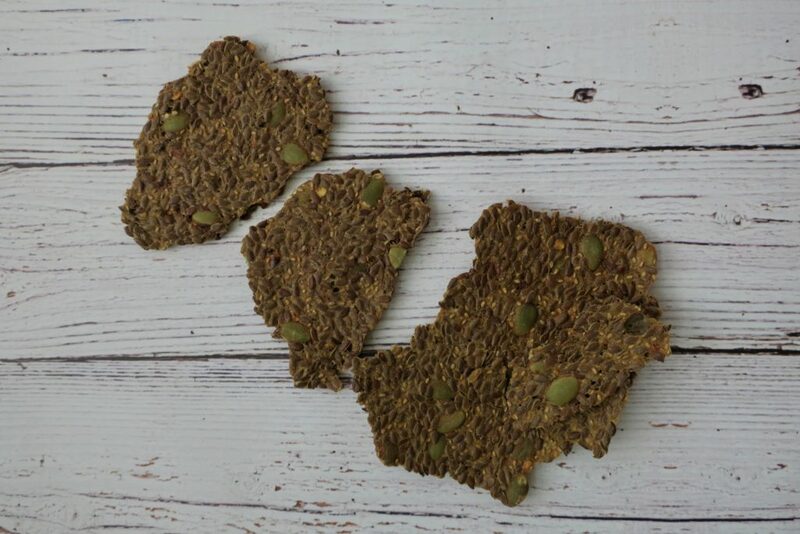 They’re held together with flax and chia, so they pack a nutrient-dense punch! Fibre, plant-protein, and omega 3s… hello. Eggplant – are good for your heart because they’re packed with fiber, potassium, vitamin C, vitamin B6, and phytonutrients). Plus, they help lower bad (LDL) cholesterol by having chlorogenic acid, one of the most powerful free radical scavengers found in plants. It also works as an antimicrobial, antiviral, and anti-carcinogenic agent! Red Pepper – these guys are packed with vitamin C, vitamin E, antioxidants, fibre. Yet, they’re low in calories. Perfect for shedding the pounds, warding off disease (cell protection from free radicals), and your immune system! 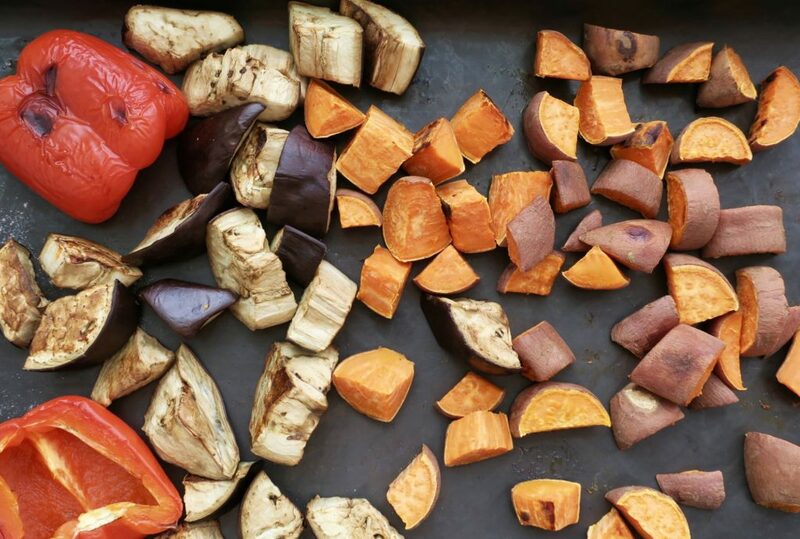 Sweet potatoes – I’ve talked about these magic spuds so much already because I use them all the time! Head over to this recipe to see the benefits, or this one. 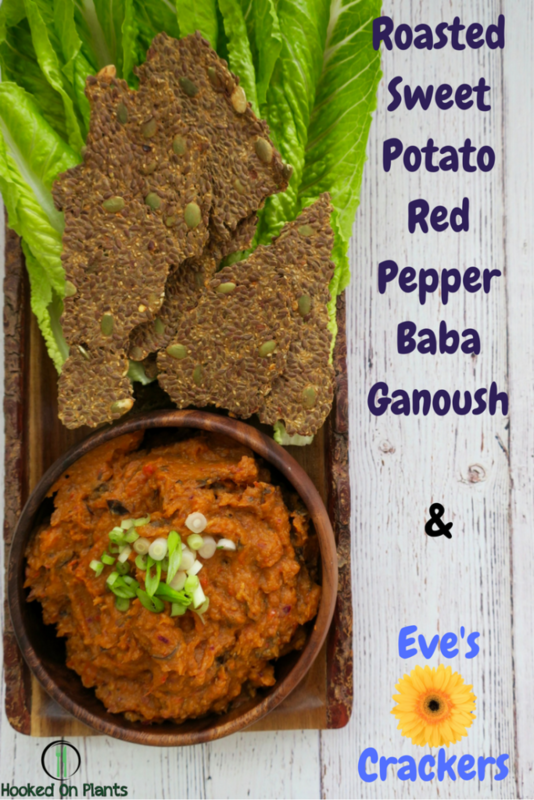 Scoop it into a bowl and serve along side the deliciousness of Eve’s Cracker’s and raw veggies of your choice! 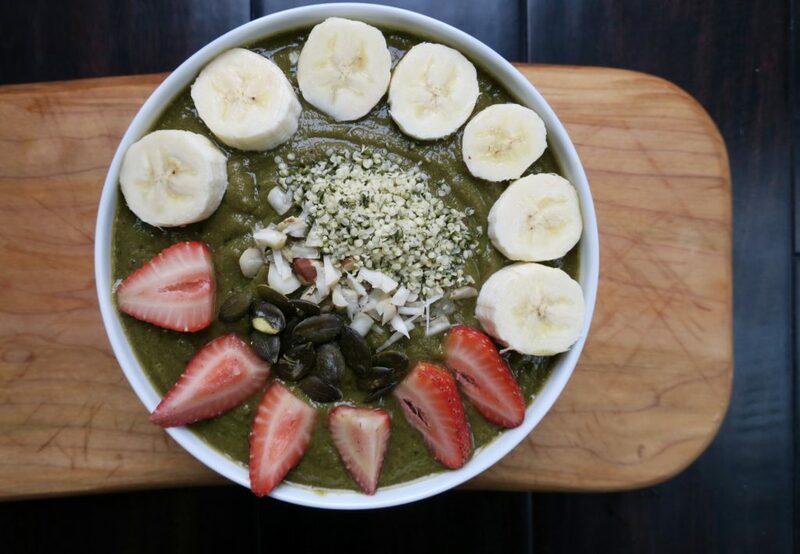 Perfect for those days that you have that urge to dive into a plate-full of cleansing, vcggie deliciousness. 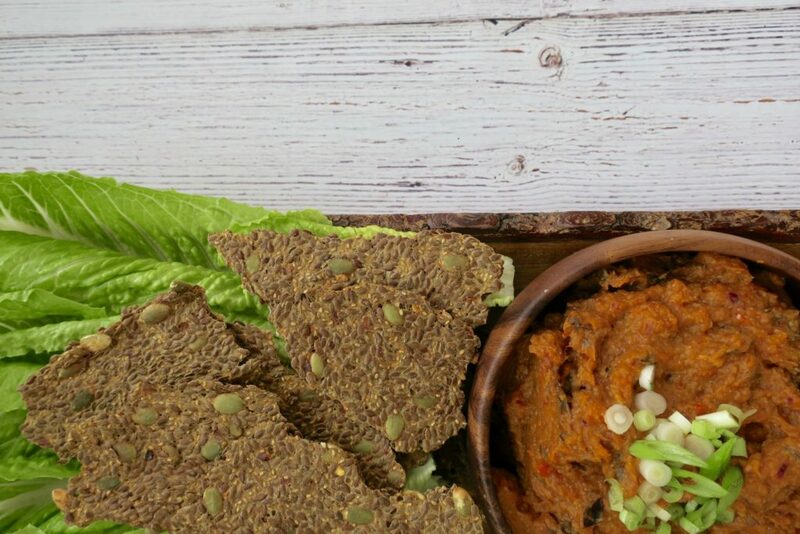 This dish is part of the Vancity Virtual Potluck menu! 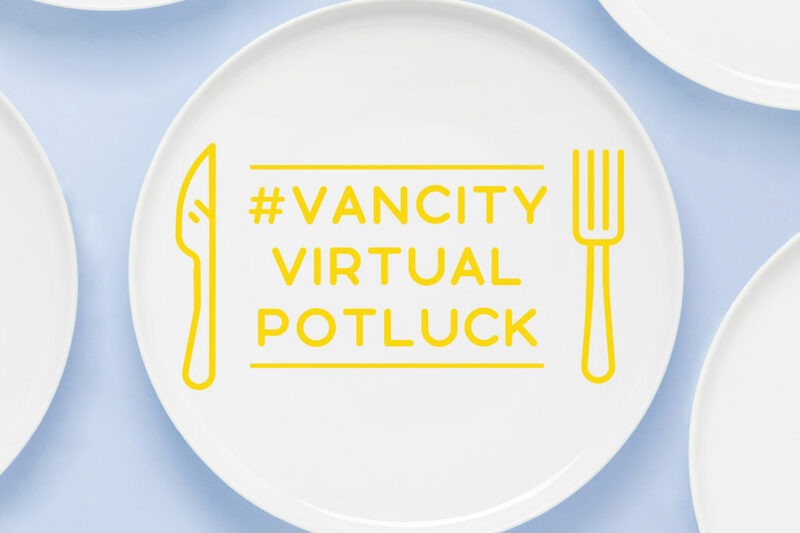 The #VancityVirtualPotluck includes over 30 delish recipes from amazing Vancouver (/Whistler!) bloggers. The lovely ladies over at Piquant Marketing have brought us all together to form a mega-menu to devour. 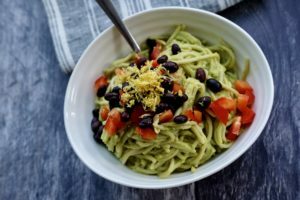 I was super excited to start off the appetizer course of the Virtual Potluck, but then, just like a real-life potluck… I went ‘AH, what do I make’? 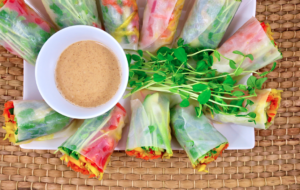 For the appetizer that comes after these rice paper rolls, head over to Stephanie and Kiana at Karma and Soul for their amazing Roasted Balsamic Beet Hummus recipe (inspired by Melissa at Spread’Em Kitchen)! 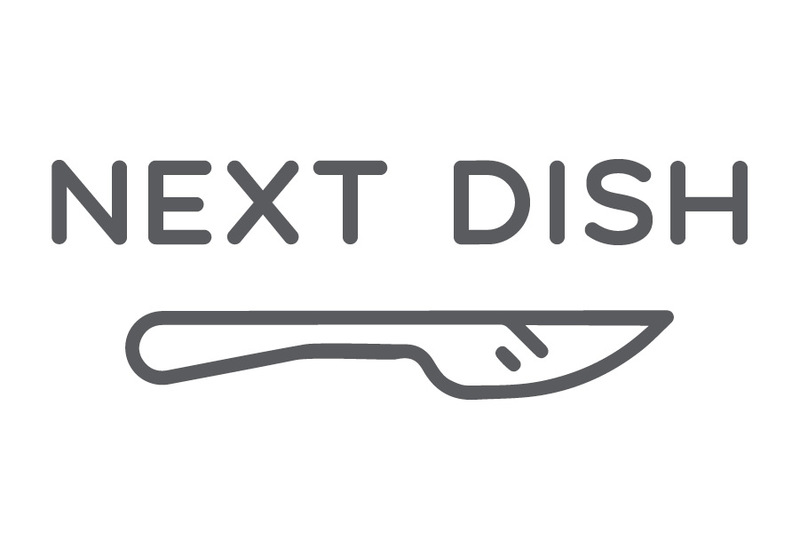 The link for the next dish is at the bottom. Click this photo for the full menu! Back to these crunchy, nutrient-dense rolls. So simple and SO fresh. And this sauce is perfection. 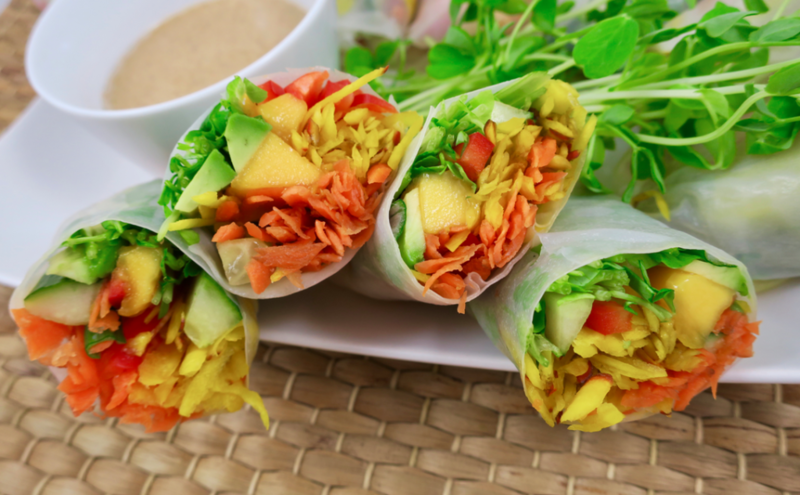 You can create an endless combination of veggies and fruit to stuff into these wraps. Just pack in your favourite colours of the veggie rainbow. These babies are perfect to bring as a colourful appetizer to any shindig you’re going to. The dipping sauce is also used in the Cucumber Cups canapé recipe. 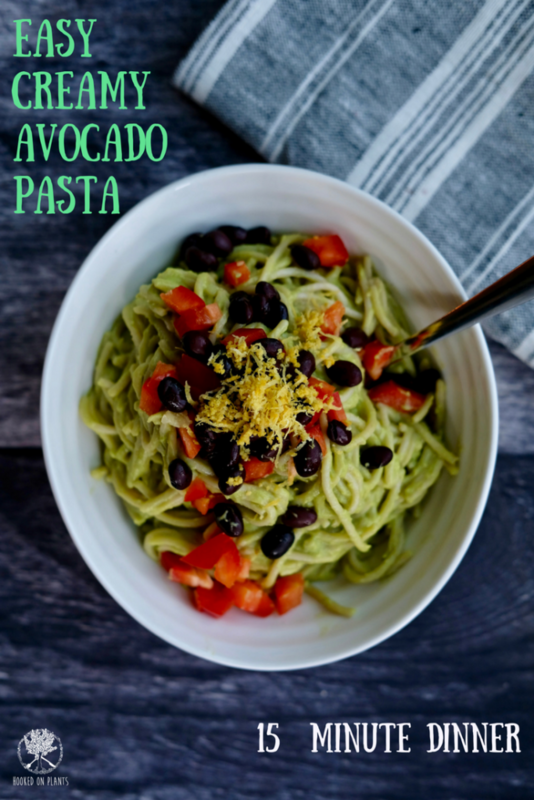 It’s so versatile and can be used as a spread, dip or dressing depending on the amount of water you add. There’s no doubt that this flavourful, oil-free sauce will become a sought after staple in your abode. ~ Raw produce of any kind are what makes your body thrive. 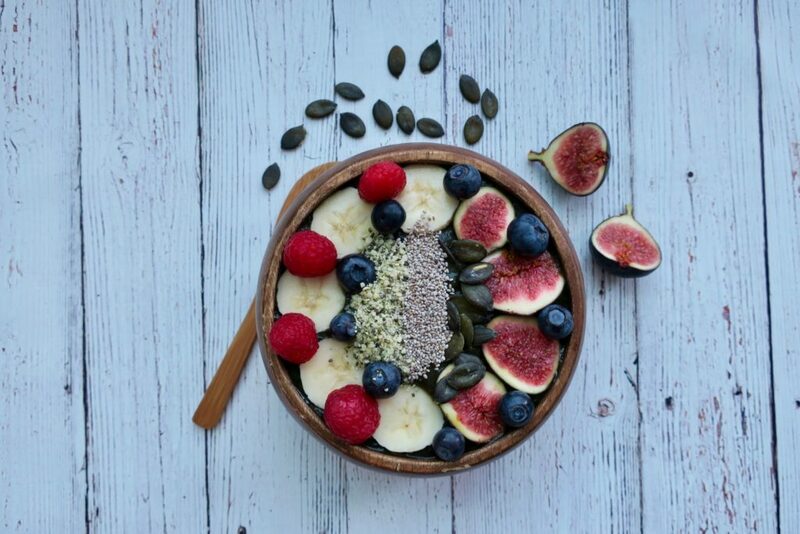 Eating fruits and veggies in their raw form keeps the nutrients in tact, plus gives you the water content and fibre you need for the digestion and assimilation of the vitamins, minerals and nutrients. 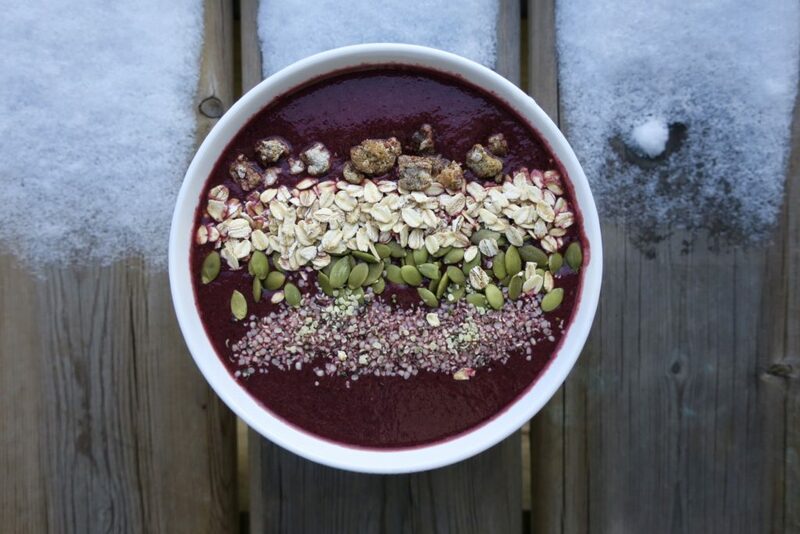 You’ll get mega-benefits from all the enzymes and phytonutrients in raw goodness. This leaves you with more energy for healing and life! Clearer skin, more energy, less sickness, easier weight-loss, better digestion, and less inflammation are all benefits of eating an abundance of raw fruits and veggies. 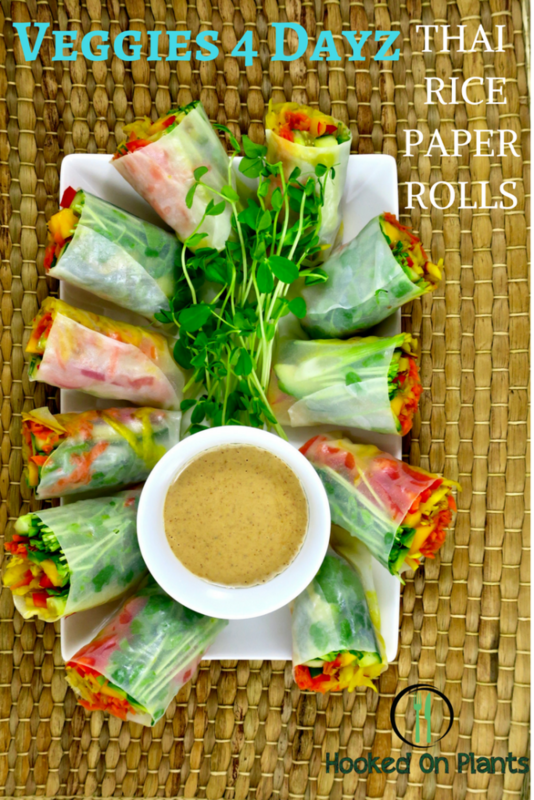 ~ Rice paper wrappers are gluten-free, low-calorie, low-fat and easy to use. They are a great option for creating wraps with because the only ingredients are rice, and water (maybe some salt)! Roll up the wraps: pour water in a plate. Submerge one rice paper in the water for 20 seconds. Take out and place on breadboard. Fill the wrap with some of each veggie. 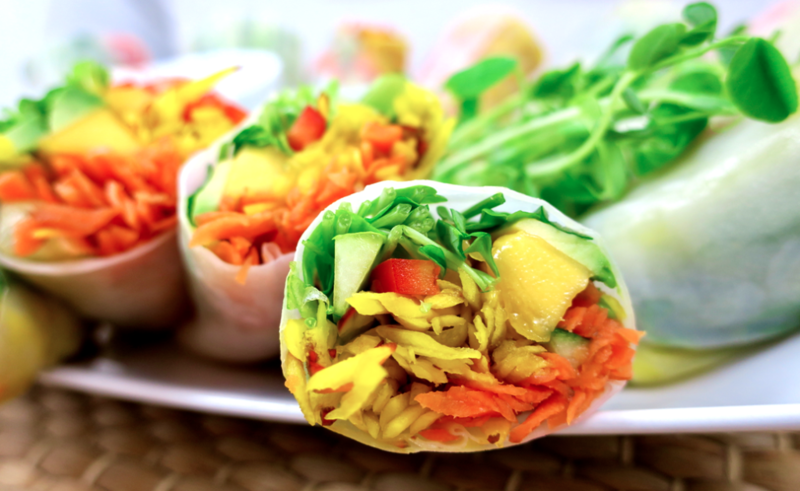 Fold the ends of the rice paper over the veggies, then roll like a burrito. Cut in half, and serve with dipping sauce.